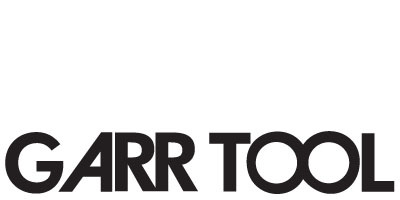 For over sixty years, Garr Tool Company has committed to manufacturing the highest quality carbide cutting tools possible, offering competitive prices and providing unequaled customer service. Our 180,000 square foot facility contains clean, efficient production space and houses state-of-the-art CNC grinding equipment run by conscientious operators. We have dedicated 45,000 square feet of our manufacturing center to the production of solid carbide drills. We have also partnered with Oerlikon Balzers Coating USA to house a coating operations center in our facility. We will continue investing in new technology to meet the future needs of our customers. We earned our reputation of having fast, reliable deliveries, and we will continue to earn your trust through fast, reliable service. Our standard catalog items are shipped from stock within 24 hours at a 99% fill rate. Garr continues to introduce new series of standard tools to meet the demands of material specific machining. We also take pride in delivering special tools quoted to customer specification within two weeks. Our international network of distributors, as well as each of us at Garr Tool, looks forward to servicing your solid carbide round tooling requirements.